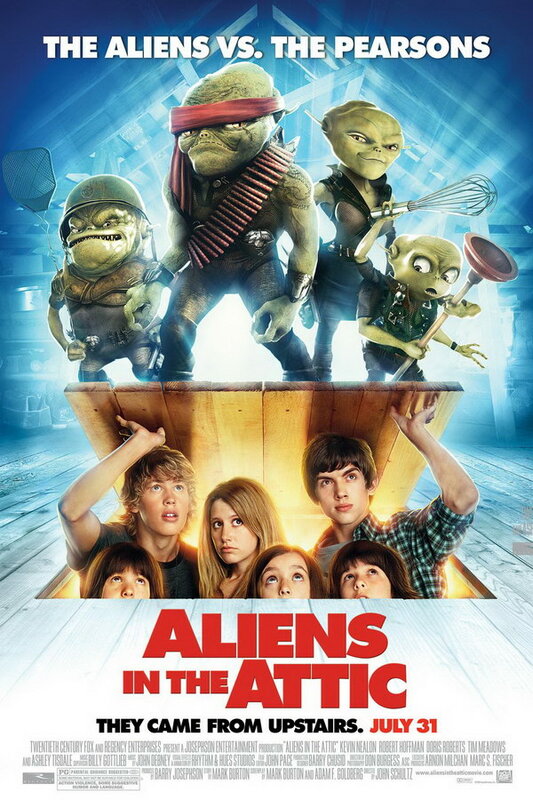 Aliens in the Attic font here refers to the font used in the poster of Aliens in the Attic, which is a 2009 American family science fiction movie that revolves around the children in the Pearson family having to defend their vacation house. The font used for the movie title in the poster is probably Futura Extra Bold designed by Paul Renner in 1932. First presented by the Bauer Type Foundry, Futura is commonly considered the major typeface development to come out of the Constructivist orientation of the Bauhaus movement in Germany. More details about the font can be found here. In addition to Aliens in the Attic, Futura typeface is also used in the following logos, movie posters or album covers etc., including: Mean Girls, Fruit of the Loom, Costco Wholesale, Bee Movie, Football Manager 2016, Party City, Blesk, Chicago, Bootleg (Kenshi Yonezu), Github, Big Lots, Gravity, Beautiful Creatures, Infinite Possibilities, Twenty One Pilots.